The Reference Premiere RP-280 5.14 Dolby Atmos® system is the pinnacle of home theater technology. Experience the full Dolby Atmos experience with overhead sound, state-of-the-art audio mixing and high-performance acoustic technology. 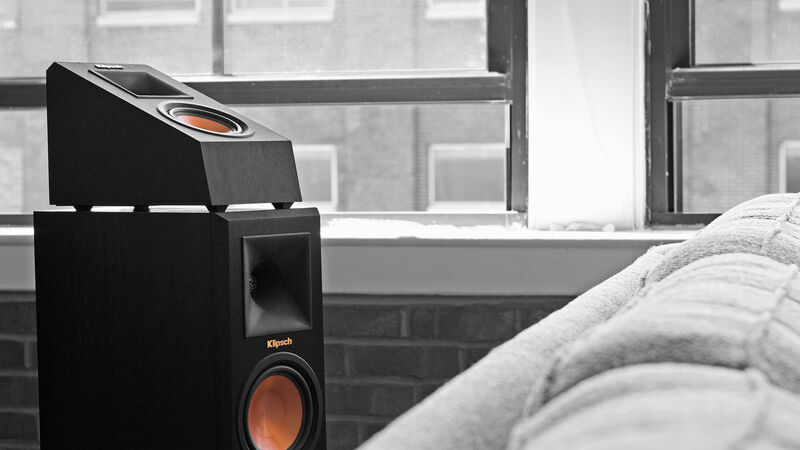 Be completely immersed in your movies and music. The Reference Premiere 5.1.4 In-Ceiling Dolby Atmos® home theater system will drop jaws, shake the walls and piss off the neighbors. To put it simply, Dolby Atmos is the greatest advancement in home theater since surround sound - and Klipsch is on the forefront of this new technology. 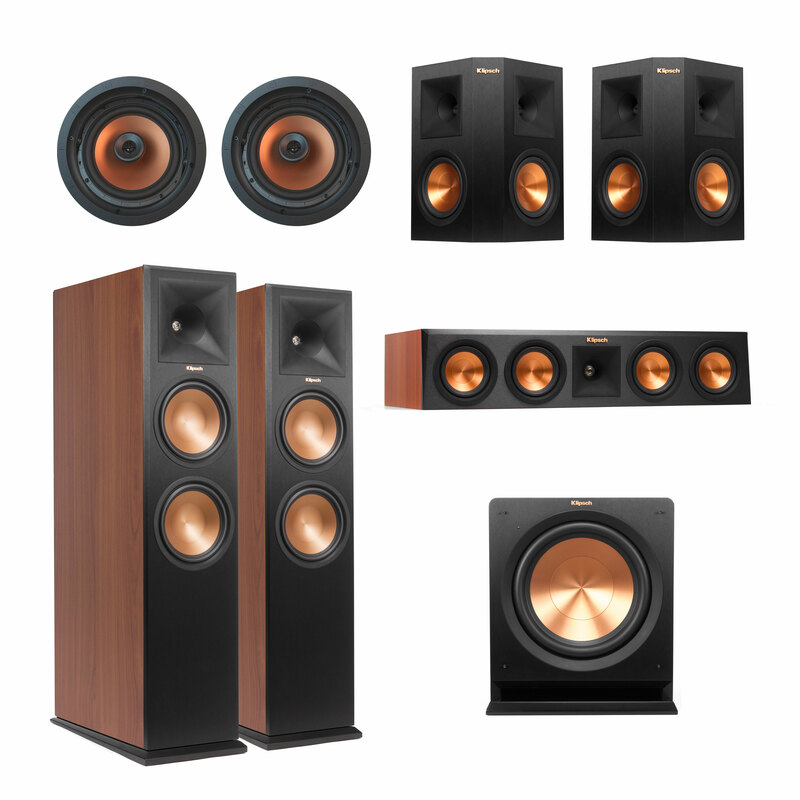 The Reference Premiere RP-280 Vinyl 5.1.4 Dolby Atmos® system allows you to fully appreciate the immersive, overhead sound of Dolby Atmos with a different aesthetic from our vinyl finished Reference Premiere speakers in beautiful ebony and cherry accents. 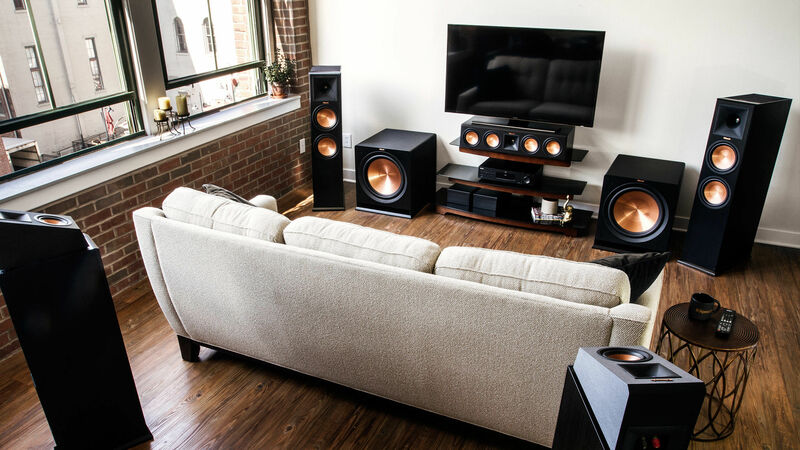 Get a front row seat to this all-new home theater experience. 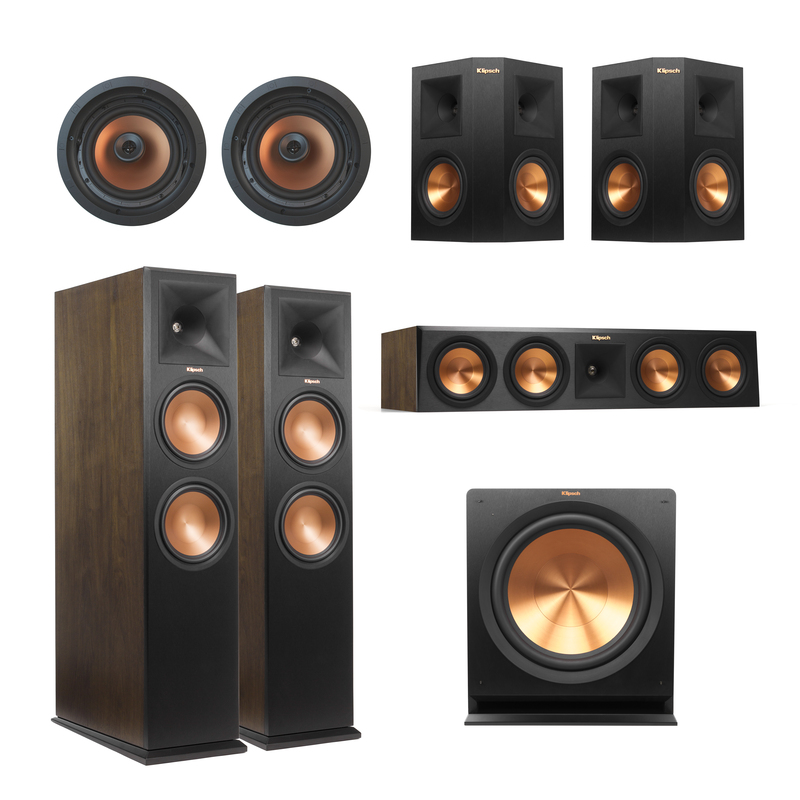 The Reference Premiere Vinyl 5.1.4 In-Ceiling Dolby Atmos® home theater system is a showstopper with incredible acoustics and a beautiful vinyl aesthetic. 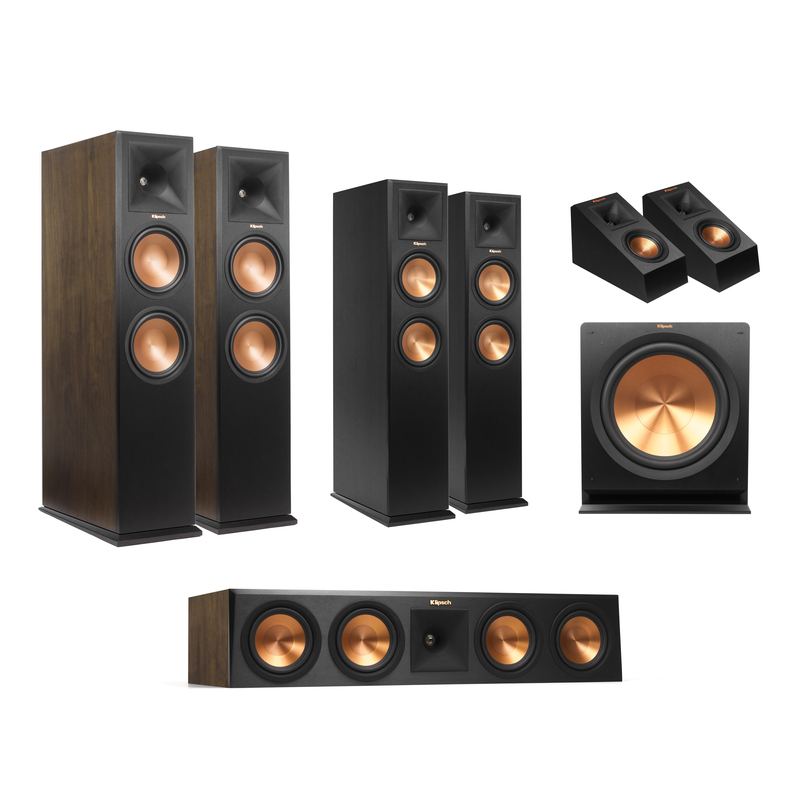 We've pieced this system together for a premium, well-balanced package that delivers the Dolby Atmos experience at its fullest potential. In a league of its own. The RP-140SA Dolby Atmos® enabled elevation speaker effortlessly adds the Dolby Atmos experience to your current floorstanding or bookshelf speaker. 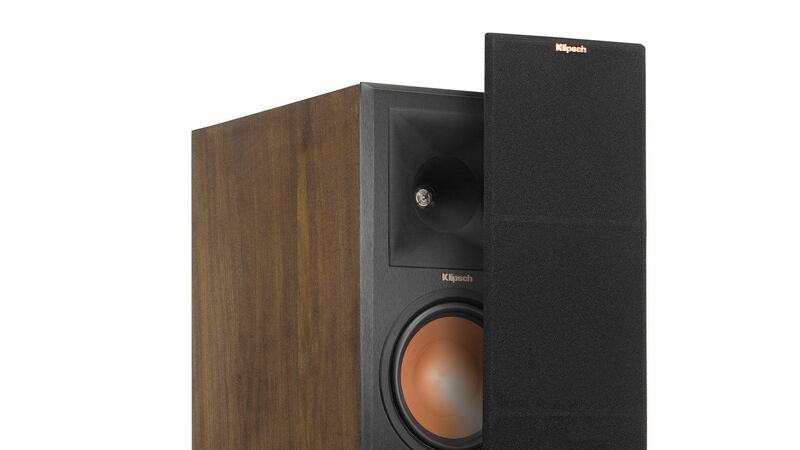 Klipsch signature controlled directivity effectively bounces sound off your ceiling down to the listening area for an aerial, lifelike experience.